On-grid solar power plants | Atmosfera™. Альтернативные источники энергии. Солнце. Ветер. Вода. Земля. The on-grid photovoltaic power plants function only together with the network. 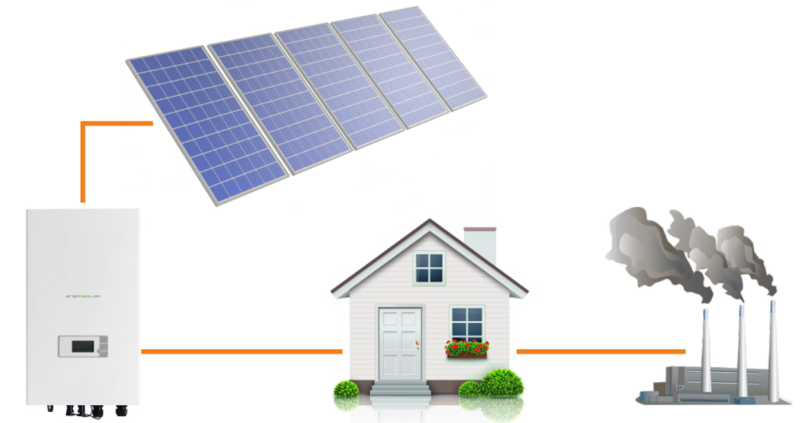 The inverter gives the whole energy, generated by PV modules, to the network. The installation of such plant will allow significantly reducing the consumption of electric energy during daytime. There is also the possibility to receive “feed-in tariff” for such installation. You can choose one from ready configurations of on-grid solar power plants with capacity from 250 W to 100 kW, offered by us (on the right). If none of our ready commercial offers suits you, you can order the individual calculation and the commercial offer at specialists of Atmosfera for your unique task and technical specifications. The on-grid solar plants, suggested by us, include only certified components of famous world manufacturers. This is not by accident! Each private power plant at connection to the power grid for public use shall pass through compulsory technical inspection. You will not have any problems with putting the on-grid plant from Atmosfera into operation!